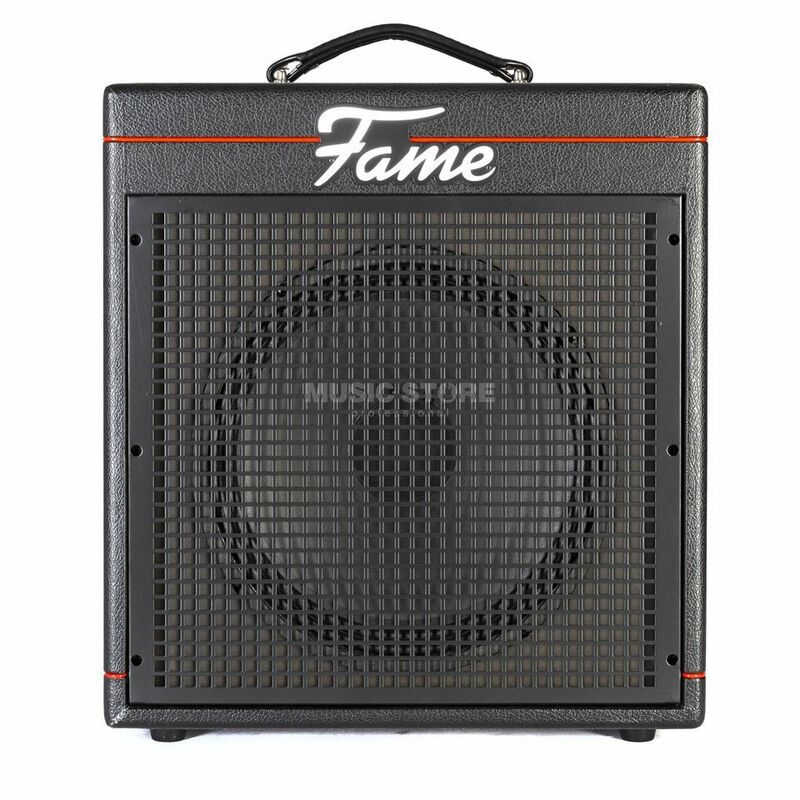 The Fame GAIA-60 Bass-Combo with 60 Watt power and a 12" loudspeaker is an excellent bass amplifier for the first sessions in the rehearsal room, where it scores with its powerful sound. In addition to separate inputs for active and passive basses, the compact bass combo offers an aural enhancer and a 3-band tone control to adjust the sound, while the parallel effect path with blend control allows external effect devices to be looped in. The integrated limiter also helps to avoid unwanted distortion and level peaks. Last but not least, the Fame GAIA-60 is equipped with a headphone jack for silent practice and an Aux input for playback of backing tracks.